The drying time is phenomenal! I find that it dries much quicker than other topcoats. In under a minute my nails are dry to the touch. For nails that I can really work with it usually takes a few more minutes but it is definitely less time than other topcoats. The finish it gives my nails is gorgeous! 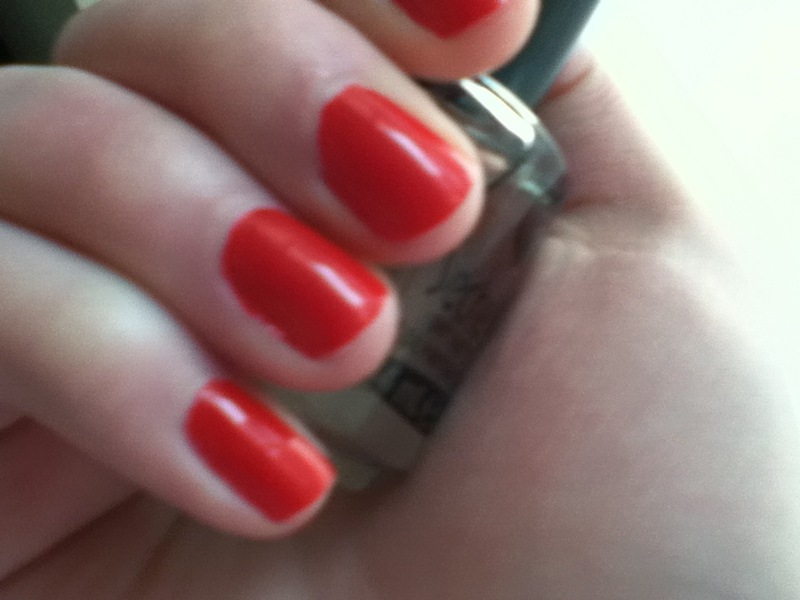 It gives my nails a wonderful gel like finish that looks just like a gel manicure. My manicure lasts a week or more with minimal to no chipping. Depending on the nail polish I use (I have better luck with the Sally Hansen Complete Salon Manicure), I can go over a week before I need to switch up my nail polish. Sally Hansen All Fired Up after one week of wear! To sum up my review, this topcoat is awesome and you should get it too! !